Although being mainly a Jazz violinist, I have performed and recorded in many different musical genres and improvisation styles including Blues, Trad Jazz, Rock, Indian Classical music, Bluegrass, Jewish Klezmer music and more. Since students spend most of their crucial development time individually in the practice room, as a teacher my biggest ambition is to teach my students 'how to be your own teacher' (I know it's kinda shooting myself in the foot :] ). Based on my 20 years experience playing the violin and other instruments, my training in Alexander technique, teaching artistry, psychology, philosophy and meditation, I've accumulated a set of methods and ideas about how to teach my students to be independent learners who can critically self-reflect and identify their strengths and weaknesses. By developing awareness to musical nuances I will work with the students to enable them to play in many different musical genres and styles of improvisation while offering them an alternative to the conservative approach of violin teaching. I'd love to teach you whether you are a fresh beginner or a master! Omer delivers an exceptional lesson experience and ranks in the top 15% of our teachers nationwide. As a young Violinist in Israel that experienced a crisis with Classical music and the Classical school, I’ve been looking around for non-classical Violin teachers in vain. I’ve figured out that in order to play the music I want on the Violin I’m going to have to teach it to myself, thus becoming an independent learner which is most likely the greatest gift I’ve ever received as a musician and a teacher. Worked with high schoolers in the social youth movement Beni Hamoshavim involving the youth in leadership and social engagement. Recording an album with OSOG band in Wilmington, NC. You should check the band out!! 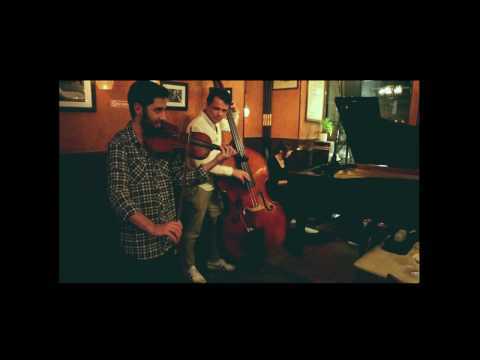 Nice jazz standard played in a gig Cafe Vivaldi, NYC. 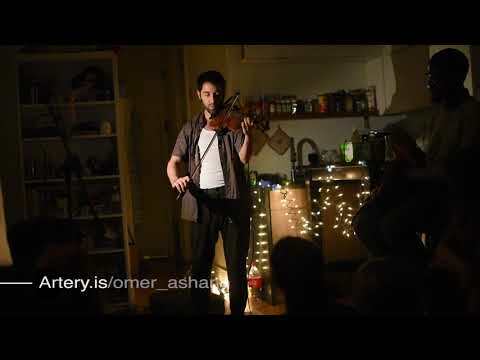 Omer loves music, the violin, and it shows. His youtube videos are smokin' and had me humming with joy. He puts a spin on the classical instrument in a way I had not known possible before...by playing jazz with it! It's just want a teenage boy needs to experience. My son has been playing since he was 5 years old and I felt that the traditional, classical instructors with their dated attitude just would not cut it at this juncture in his music career. With Omer teaching, I'm confident my latently, hesitant violinist will "produce" his own music with time. He goes away from some lessons whistling the piece. When Omer and my son jam, it's quite exciting. Omer is knowledgable, modern, in tune with the young student, I believe because he was a young boy once too. He's absolutely what we are looking for in a contemporary instructor. And his jazz concerts are quite inspiring to see too. I hope my raving reviews won't take him away from my student but he's one of the best violinist in New York City presently. I had the delight of taking small group workshops with Omer at jazz weekends. Aside from being an amazing performer, he is a fantastic teacher - explains and demonstrates in a very clear fashion, has lots of patience, and stimulates his students to work hard and to want to learn as much as they can from him. Highly highly recommend him as a teacher! Omer can find a means to teach you no matter what your level is. 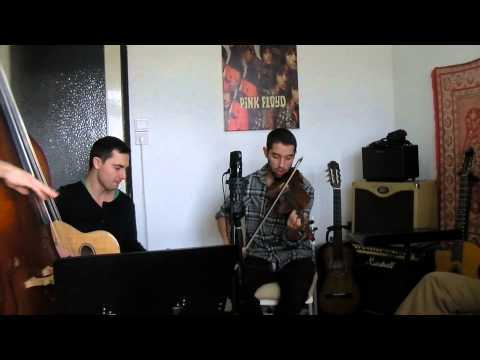 Omer, thanks for teaching me jazz violin. You are a great player!!! Omer has taught swing, Gypsy swing and jazz violin at my Gypsy Jazz Weekend retreat since it's inception in 2013- he is by far the most sought after instructor, and his students consistently praise the unconventional approach that makes both Omer's music and his teaching exciting. He's a pleasure to work with as well.